The interactive San Andreas Fault map featured on Geology.com roughly plots the outline of the fault traversing several locations in California. On closer inspection, this fault trace comprises tiny red squares that are connected by thin red straight lines. The map was charted using the geographical coordinates of the small red squares, which represent various points on the fault. 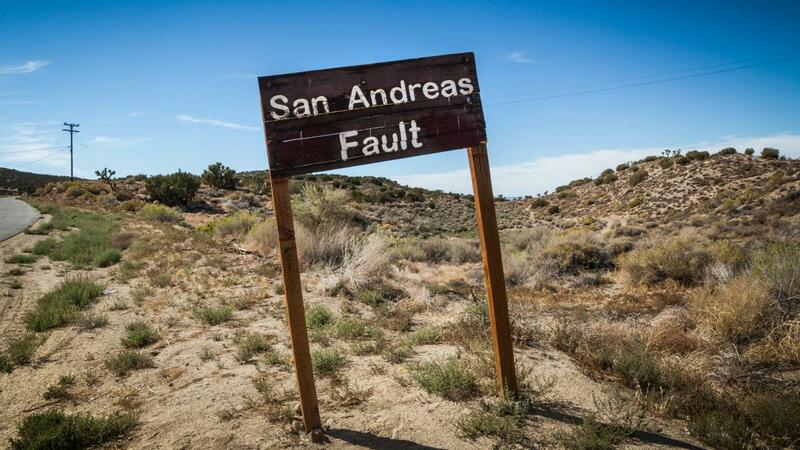 The San Andreas Fault, commonly referred to as the SAF, stretches for more than 800 miles and runs a depth of not less than 10 miles beneath the ground. The SAF map was designed as a graphical depiction of the fault that can be easily circulated through the Web. This tool provides valuable information to the general populace about the approximate location of the SAF and the different places situated adjacent or on the fault zone. The points and the lines illustrated on the SAF map, which was created by cartographer Bradley Cole and provided by Google Maps, are only estimated distances and could vary from the true ground distance by as much as 100 feet. Some portions of the fault trace, however, may split from the actual fault line by more than 100 feet. Zooming in on the map shows that the northern part of the SAF starts near Shelter Cove, which then follows a southward path and ends close to Bertram in the Salton Sea. Californian counties within the SAF zone include San Bernardino, Riverside, San Mateo, Los Angeles, San Luis Obispo, Monterey, San Benito, Santa Cruz, Marin, Santa Clara, Humboldt, Mendocino and Sonoma. Some cities and communities encompassed by the SAF area include Amber Hills, Devore, San Juan Bautista, Parkfield, Cholame, Fort Ross, Bodega Bay and Lexington Hills. Where Can You Find a Map of Colorado?